Flowers always help a space feel finished. 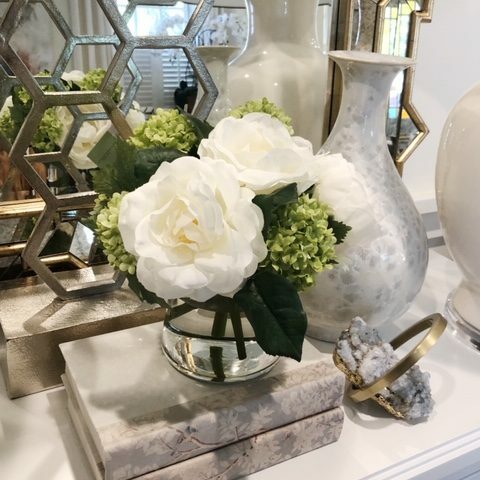 When you cannot go for fresh flowers, high-quality faux options can make your space feel inviting and fresh. We have a new delivery of beautiful blooms in the store. Here are some of the faux styles you will find in the store. 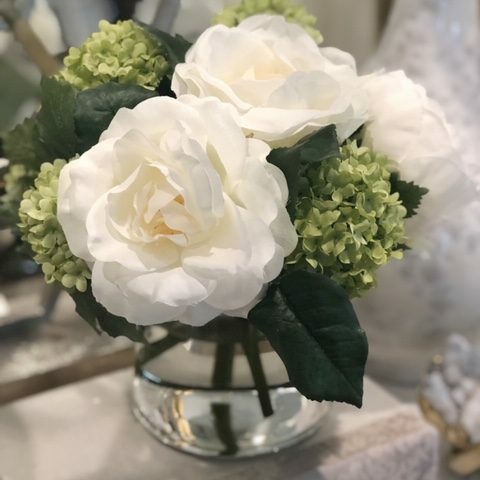 This faux floral arrangement includes white peonies and green hydrangeas. It is such a sweet arrangement. It can add the finishing touch to a nightstand or dresser. The arrangement is 11″ W x 10″ D x 10″ H and sells for $215. 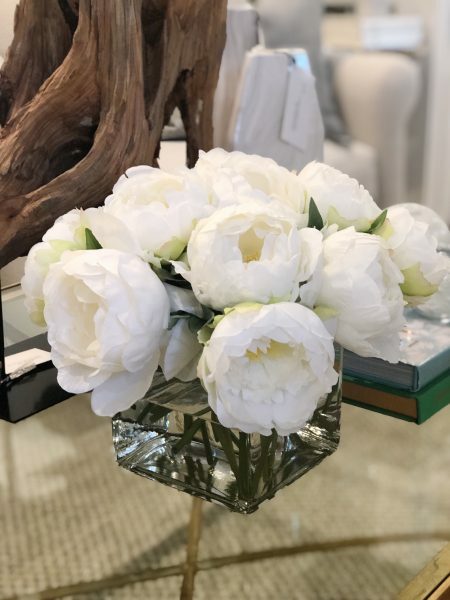 Our white peonies in large glass cube can brighten up a space. The large white blooms look lovely on a coffee table. Depending on your table size, it can also serve as a centerpiece on a dining table. This arrangement is 12″ W x 12″ D x 9″ H. It sells for $369. 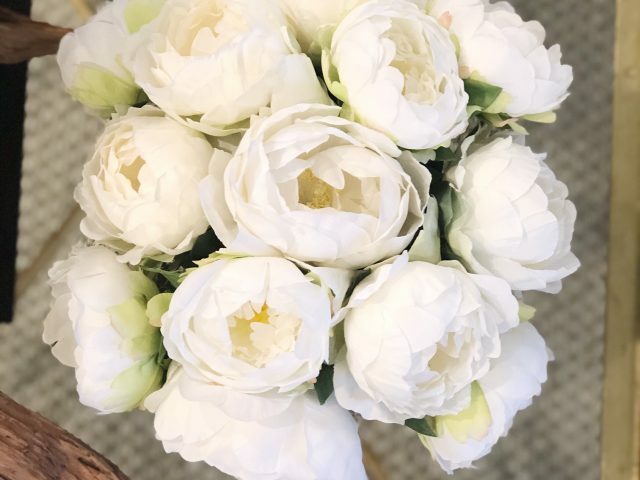 Here’s a top view of the white peony blooms. Nothing beats fresh flowers, but these certainly come close! 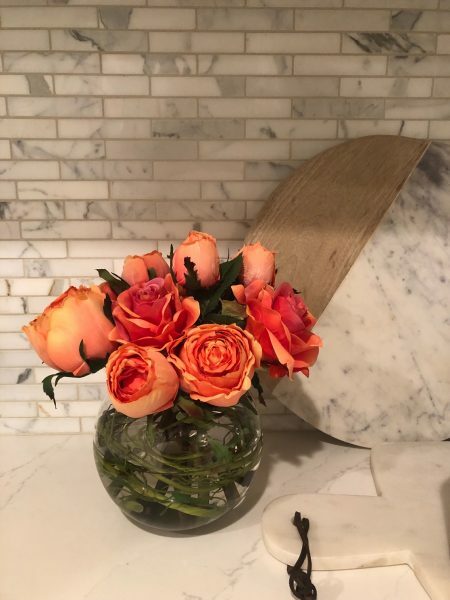 Most of our new florals are soft white, but we couldn’t skip on these orange roses. The color is very realistic. The orange pops in a room with neutrals and also pairs beautifully with blues. 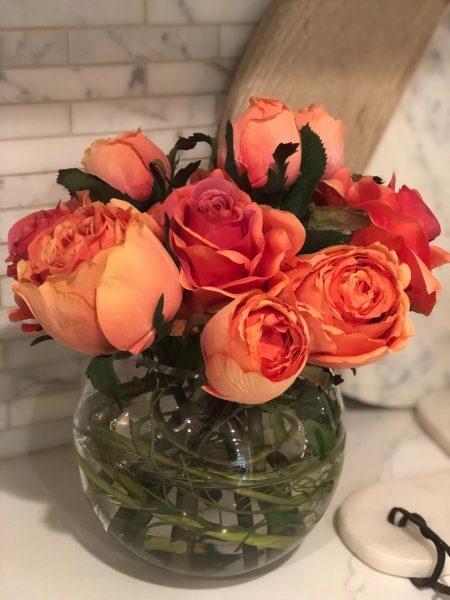 The orange roses in a glass bubble sell for $269. The dimensions are 9″ W x 9″ D x 9″ H.
Finally, tulips are so elegant and sophisticated. The faux style in our shop is rather life-like. 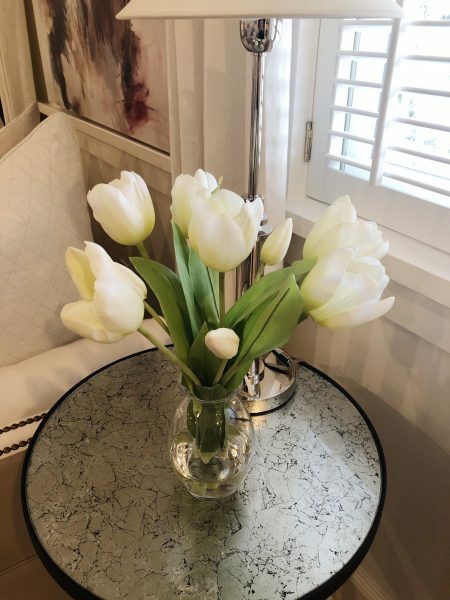 These white tulips can add some height and interest to a space. It is 12″ W x 12″ D x 14″ H and sells for $169. Visit our shop for faux flowers that can freshen your home for the holidays!